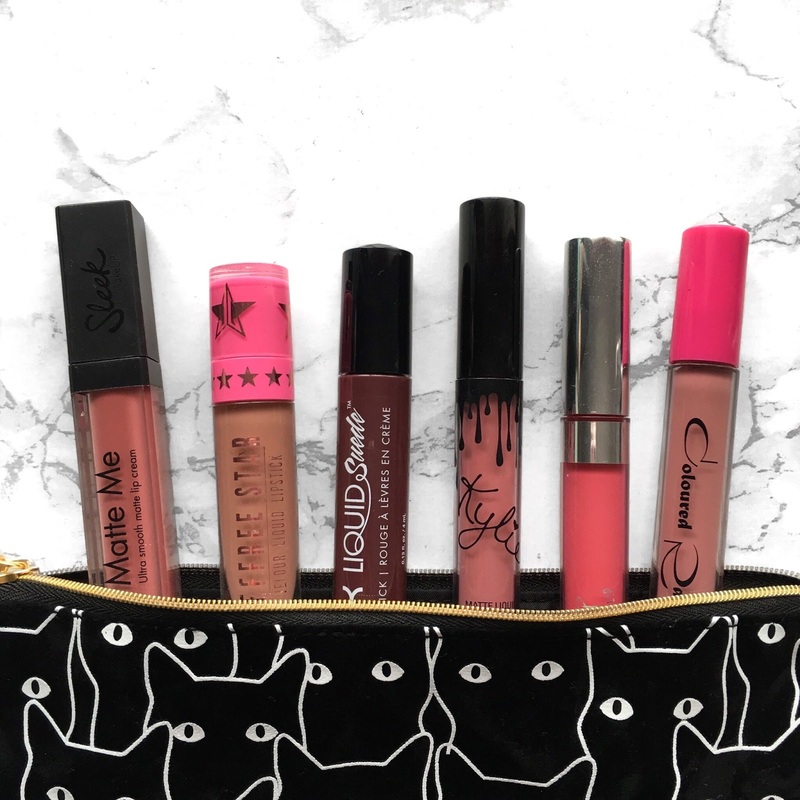 Liquid lipsticks have become all the rage these days, having such a long wearing formula whilst packing a seriously pigmented punch makes them a staple in a lot of peoples makeup routines. With such a hype surrounding them I obviously had to get on board with it and I’ve fast become a liquid lipstick addict, ooops. As great as they are, they’re not the easiest product to wear as they’re super matte so today I thought I’d share a few of the tips I’ve found help make liquid lipsticks that little bit easier to wear. No liquid lipstick can come within a mile of my face until I’ve gone in with some serious exfoliation. By exfoliating your lips prior to application it’s going to remove any dry flakey patches leaving your lips feeling super soft, smooth and prepped ready for the lipstick to be applied. My favourites are the Etre Belle Liplift Peel or the Lush Bubblegum Lip Scrub. After exfoliating I find lip balm is a must to add some hydration back into the lips making them softer, smoother and even plumper. My favourite and the one I’ve been using for years is the Cherry Carmex. I like to apply a thick layer and leave it on for as long as I can then I’ll remove the excess product with a bit of tissue and I’m ready to go. Before applying any lipstick I’ll always go in with a lip liner first, especially when the lipsticks in liquid form. I find that by using a lip liner you can give yourself a guide so you know where you need to fill in with the lipstick, and it’s also going to give you really neat edges as liquid lipsticks can be messy. Now it’s time to actually apply the lipstick so take a second to prayer to the makeup gods, okay?! Good luck. After I’ve applied the lipstick and it’s still feeling super dry I like to apply a tiny amount of lip balm or lip gloss onto my ring finger and gently tap it onto the centre of my lower lip after the lipsticks dried. I find that by just applying the tiniest amount makes my lips feel a little more hydrated without messing up the colour. Liquid lipsticks really can be hit or miss. Some brands seem to master the formula whilst others leave you feeling like you’ve applied cement to your lips, it’s not a pleasant experience. Just because you’ve tried one that you don’t like, don’t let it put you off. My personal favourites are Kat Von D, Coloured Raine and Colourpop. Liquid lipstick can be a mess, especially if you’ve skipped lip liner and if you’re anything like me then one side of your lip is probably thicker than the other, I hope I’m not the only one! To correct any mistakes I’ll simply take a little bit of cream concealer (Krylolan Dermacolor is my personal fave) on an angled brush and to go around my lip line and even it out. It’s a quick step that’s going to help give really crisp and neat edges. So those are a few of my tips, are you a liquid lipstick lover? If so, what are some of your favourites?